Today the Egyptian Antiquities Authority announced the excavation of a colossal statue of Amenhotep III who ruled Nubia, Libya, Gaza and Syria in the 18th Dynasty. The 42-foot tall statue was excavated in Thebes (modern Luxor) on the west bank of the Nile. Amenhotep III ruled between about 1382 and 1350 B.C. (about 600 years after Abraham's son, Jok-tan). His name means "peace of Amen" and indicates a date when Amen, a name for God favored in Nubia, was used instead of the name Seth, which was favored in the Delta. It was during the 18th dynasty that the title 'King's Son of Cush' was first used. The earlier known Kushite ruler was called K-ash-ta which means something like The Throne of Kush. Amenhotep III was the father of Akhenaten the Younger who was named by Amenhotep's cousin wife after her father. This means that Akhenaten the Younger ascended to the throne of his maternal grandfather, after whom he was named. Amenhotep's sister wife was probably Tiye. As the Pharaoh's first wife she held a very high rank. In a 5,000 year old text, an Egyptian scribe by the name Ptah Hotep states: "Don’t modify anything from your father’s (ancestor’s) teachings/instructions—not even a single word. And let this principle be the cornerstone for teachings to future generations." This scribe's name means "peace of Ptah." Ptah is the ancient Egyptian name for the Creator about whom it was said: "He who set all the gods in their places and gave all things the breath of life". Ptah was worshipped throughout all of Egypt, but primarily in Memphis and Heliopolis (biblical On). Scribes were attached to the thrones of great Kings throughout the anceint Afro-Asiatic Dominion. 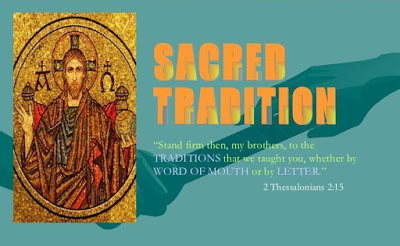 Two scribal clans are listed in Genesis 10: the Ar-vadites and the Ar-ka-ites. The word “Arvadites” refers to residents of the Mediterranean island-city of Arvad (Arpah or Arphad in other ancient sources). Arvad is an extremely ancient city. Before the Phoenicians, it was populated seasonally by peoples passing from north Africa to Asia. Some of these were Netufians. The older root of the names Arkaite and Arvadite is AR and its origin is likely Proto-Saharan. Among the Igbo of Nigeria, the scribe clans were called Ar or Aro. The word Ar-ab means “father is scribe.” The earliest known writing originated in Canaan among the coastline peoples of the Red Sea and Phoenicia. The Arabic word for throne is aarsh and likely related to the scribal function attached to rulers. There are Israelites who were associated by their names with the Ar patrimony. They are Aroch (1 Chr 7:39, Ezr 2:5, Neh 6:18, Neh 7:10) and Ariel (Ezr 8:16, Isa 29:1, Isa 29:1, Isa 29:2, Isa 29:2, Isa 29:7). Ariel means “Scribe/Messenger of God.” So it appears that the Ar clans were scribes or messengers. This is further suggested by the name Ar-vad. Vad means “to speak” in Sanskrit. The association of the name Ar with the scribal caste is further demonstrated by the discovery of Aramaic scrolls from Arsames, the satrap, to his Egyptian administrator Psamshek and to an Egyptian ruler named Nekht-hor. (A.T.Olmstead, History of the Persian Empire, Chicago, 1948, pp.116-117) Some variations of the name Ar include Ar-Shem, Arsames, Artix, and Araxes, and all of these are figures named in historical texts. 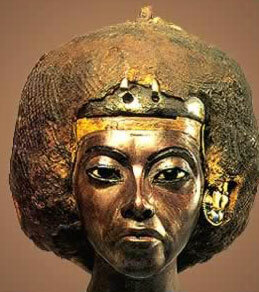 Who told you queen tiye was nubian? she was a typical Ancient Egyptian. Or is it because of her so called negroid features. Ancient Egyptians were blacks of different degrees. It is common knowledge that Queen Tiye was Nubian. The Upper and Lower Nile were united by Kushite rulers. Nubia was part of ancient Kush. Egyptians have a reddish skin tone. What about her husband Amenhotep III? He had the same brown skin as Tiye, was he also Nubian? He was Kushite and ancient Kush included Nubia. The earliest dynasties of Egypt were ruled by men from the Upper Nile region. Menes is believed to be the first to forge the Upper and Lower Nile territories into an empire. Menes was a native of the Thinite province in Upper Egypt. Monuments belonging to Narmer and Ahauiti, either of whom may be Menes, have been excavated at Abydos, a royal cemetery in the Thinite nome (Tjenu). The earliest evidence of Tjenu as a ruled territory dates to 4000 B.C., the time when the Horite citadel of Nekhen in Sudan was thriving. The Narmer palette was unearthed at Nekhen.